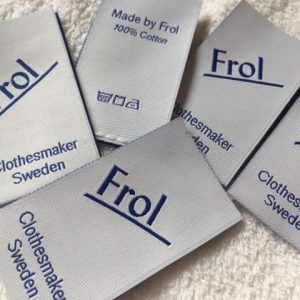 Are you searching for a clothing labels company to custom made a brand designer woven label for your fashion start-up? Perfect Labels Lanyards have been creating designer woven clothing labels for over 15 years. 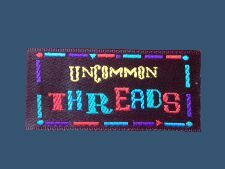 We supply custom woven labels to designers, tailors, dressmakers, quilters and knitters. It is our specialty to create brand product labels. And we are happy to share this specialty with our valuable customers. We have a professional label-design team to focus on the technical aspect of fashion design to create the high-quality finishing clothing labels. Our custom-made woven labels can add great brand value to your textiles product and differentiate your brand product from that of your competitors. We offer a wide range of woven labels quality, including the various options of fabrics, textures, and weaving process and finishing options. Among all options, Woven Damask Labels are often used for hoodies, T Shirts, sweatshirts, and polo shirts labels. Woven Damask labels can achieve the best and detailed high-definition logo weaving; they are soft woven fabric labels; and they make you feel comfortable against the skin. All our labels are customized to design artwork; and we take small quantities orders as well. We have a low minimum requirement and we offer free UK delivery. We provide professional labelling consultation; our aim is to supply high-quality finishing woven clothing labels and good service. Contact us today to order your custom woven labels for designers clothing brands. We will help to produce a clothing label that is outstanding and dynamic to make your brand recognizable.